On this page, you'll find proposals that seek to improve institutional quality and/or look to hold institutions or individuals responsible for their actions or performance. In addition, this page includes legislation regarding accreditation and matters related to the Department of Education, including structure and regulatory activity. 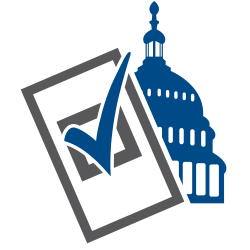 For quality and accountability proposals from the previous sessions of Congress, visit the Legislative Tracker Archive: Quality & Accountability. NASFAA Analysis & Coverage: This brief bill would eliminate the Department of Education, effective December 31, 2020. The bill does not describe what would happen to the federal student aid programs.